Above photo kindly sent by Jan Pedersen. Jan Pedersen says that he only knows of two pubs with this name and I agree. The "Unity" in Cheriton and the "Unity" in Canterbury. We both know that this one is neither of those. Looking at the front the lettering says "Wine and Spirit Merchant," so this may well be an off-license; but I still want to know where it is. It looks like it's tied to the Style and Winch brewery, and they were in Maidstone. Please email me if you can identify the premises. Peter Moynihan says that Style and Winch had over 600 pubs in Kent, Essex and Middlesex! 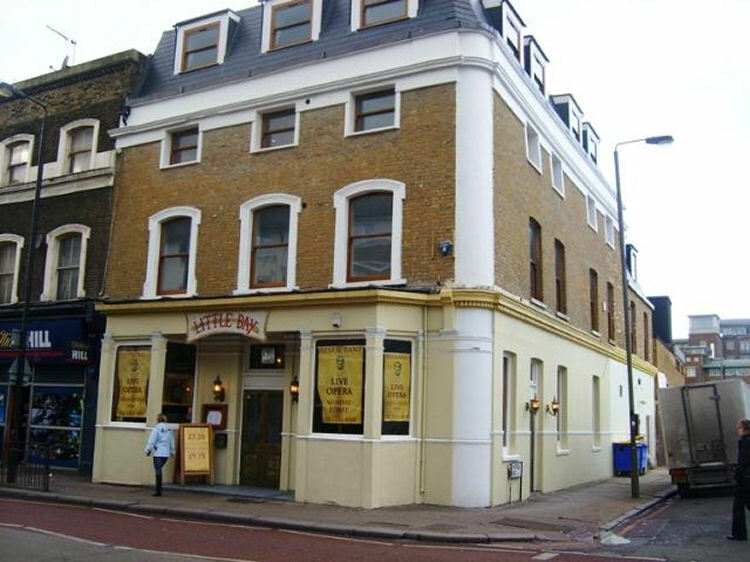 This may not be a Kent pub, but still be nice to identify the location. 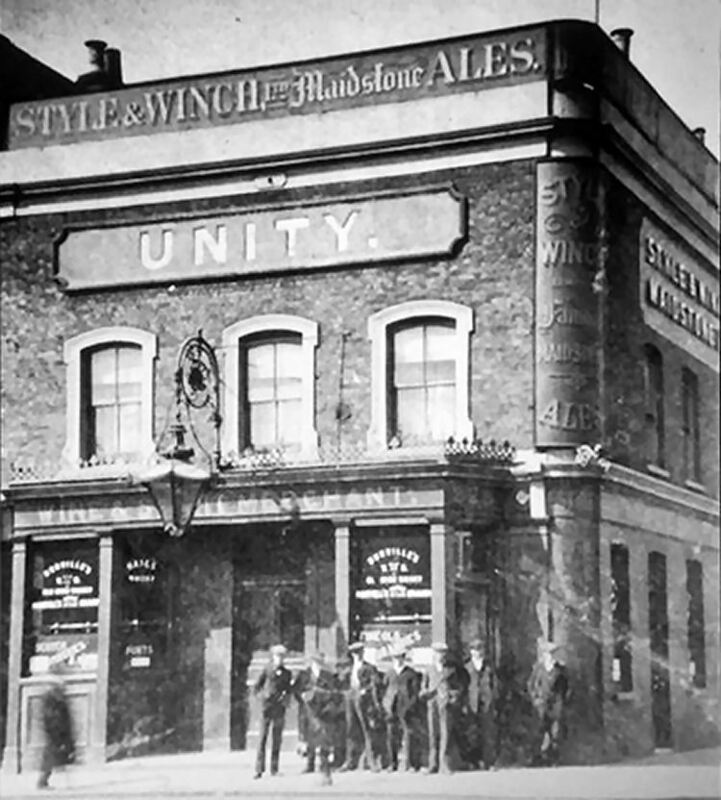 Information received from Chris Hunter says it's a dead ringer for the former Unity at 228 York Road in Battersea. This has also been known as "Peter Black's Bar" and "Walsh's" and is now (2018) being used as a cocktail bar. Above photo by Darkstar, date unknown.